We build beautiful retaining walls in Nashville. Our professional walls are strong enough to withstand the elements and will make your property look great. Our retaining walls look amazing and will last for years. We can build you a beautiful residential wall for your home. 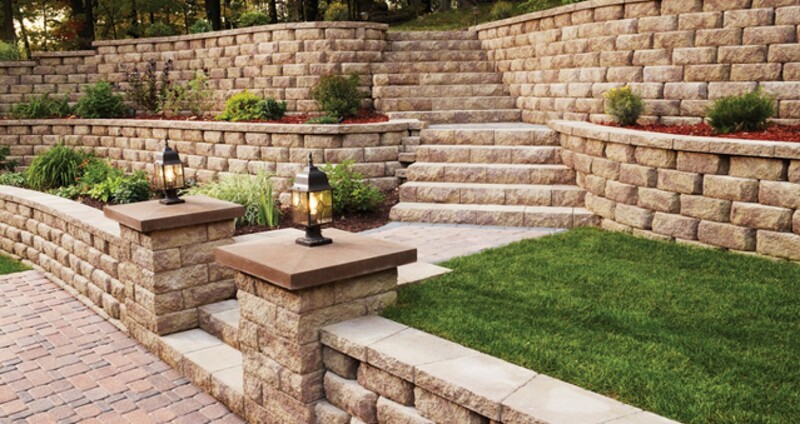 Our commercial retaining walls will make your landscape look great. Contact us for more information or to schedule an appointment. At Warner Brothers Foundation, we are proud to offer decorative and functional retaining walls in a wide variety of styles and forms. Our relationships with manufacturers allow us to offer a diverse range of products at competitive rates, and our streamline construction process helps bring our prices even lower! Specializing in custom design, our engineers have amassed a wealth of experience in creating unique retaining walls for a diverse set of clients. After surveying various factors such as required wall height, ground conditions and building codes, we will design a budget that will appeal to your aesthetic tastes and budget. For both small and large scale projects in Nashville TN, Warner Brothers Foundation is ready, willing and able to meet your needs. For more information or to receive a free price quote, contact us today. Warner Foundation Services provide professional water and foundation services to the Nashville metro in the following areas: Basement Waterproofing, Bowing Basement Wall Repair, Concrete Work, Foundation Repair and Retaining Walls. We are also a certified licensed dealer of DynaPier in Nashville.